You can run but you can’t hide! 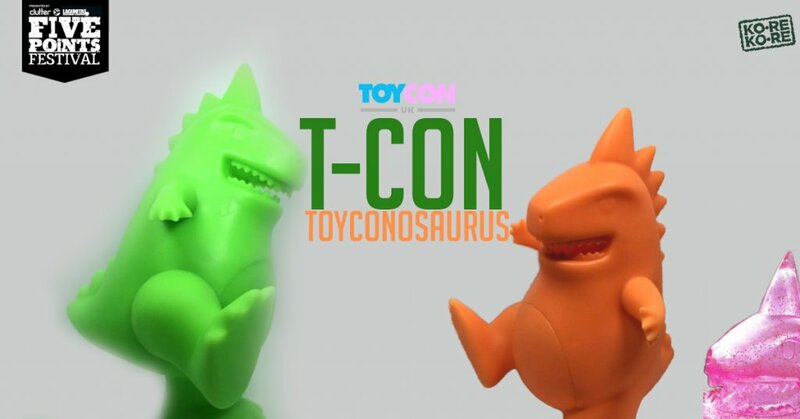 Move over King Kong as ToyCon UK has taken 3 all new editions of T-Con ready to take over New York City. The Orange and Lime sherbet 10″ unpainted T-Cons. But wait, there’s MORE! Need some sparkles in your life? ToyCon UK is ready to sparkle it up with unpainted Clear pink vinyl with gold glitter versions of the 5″ version of the T-Con. TCon is the living embodiment of the ToyCon UK Mascot. 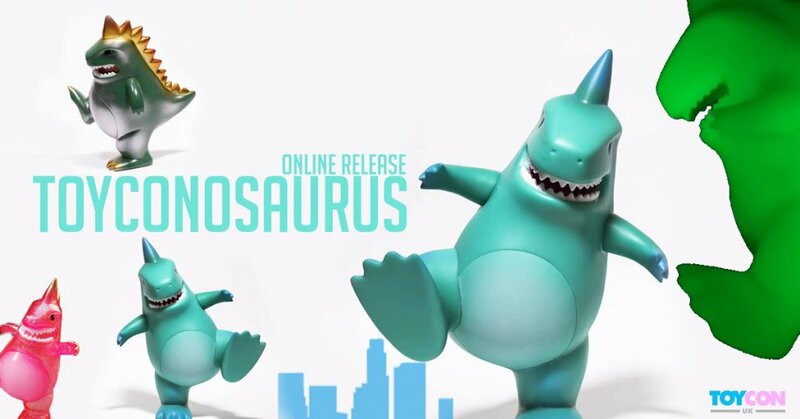 Like his OG counterpart, he stands at 5” tall and now with the bigger brother 10″ version. Can’t wait for Five Points and need a T-Con fix? Tap/click the banner below.